I left my lesson in Camarillo feeling different than I had on some of my other visits along this journey. I was exhausted and not so confident. And, that was a good thing. Thanks to the feedback and guidance from my expert instructor, Michael Phillips, I left with many useful takeaways. And, I left knowing that I still had some areas to improve upon to continue towards solid proficiency. For this visit, I was challenged and left to my own knowledge and skills to follow through an emergency situation in the simulator. It was fun, but it was humbling. Michael briefed me on the scenario before I got into the sim, but told me that he would not be sitting in it with me. The scenario was for a solo flight, so to keep it realistic, he started the sim, put me in position and then stepped back out of sight. To aid in the realism, the simulator was connected to Pilot Edge, a live air traffic control simulation that further supports the same mental environment you find yourself in when you’re flying the real airplane. That meant I would need to make proper radio calls and communicate with ATC throughout the flight. During the scenario, I was traveling home to Camarillo in a G1000 Cessna 172 airplane. I had higher headwinds and used more fuel than expected. A solid cloud layer had creeped up below me making it impossible to descend VFR to my destination. Unfortunately, I am not IFR current to allow me to legally fly through the clouds, which also meant that I was rusty on a good instrument scan (without visual cues). Because my fuel situation was getting dire, with only about 1 hour of fuel left and about 40 minutes of flight time to go to Camarillo, I was leaving no cushion for a go around or any unplanned extra time in the air. That was not good! Therefore, I decided to declare an emergency and switch my destination to Oxnard Airport, a little closer. I ended up having the controller vector me for an ILS approach to the runway. It was a risky decision, knowing that I was so rusty and not legally current to fly instruments, but I had declared the emergency and thought that following the path and glide slope of an ILS would be helpful. As a result of what must have been a miracle, I was able to safely descend through the clouds and land on the runway… with so little fuel, that my engine and propeller stopped dead on my landing roll out. That was risky, frightening, and certainly a situation I would never want to face in real life. After I had a chance to take some deep breaths from the tense flight, Michael and I debriefed and talked about what I did and I could have done differently. If I had started the flight from the starting airport, I would like to think that I would have made the decision to turn around or land earlier to get additional fuel and to wait on the ground for the clouds to clear. But, with the scenario I had and the problems I faced, I wish I would have declared my emergency sooner and asked for full ATC guidance to the runway and with altitude step downs, instead of allowing my rusty self to try and fly an ILS approach that I wasn’t familiar with. 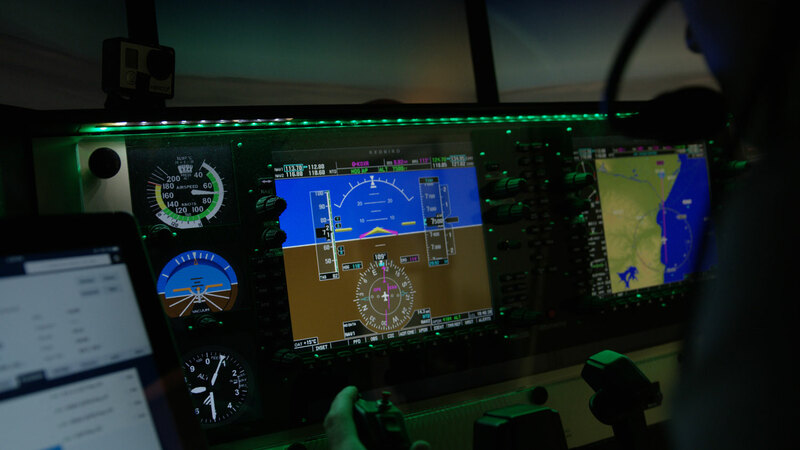 I was also not very familiar with the G1000 and auto pilot and if I was more comfortable with the avionics in the airplane I was flying, activating the auto pilot would have been huge help in reducing my workload and stress. But, alas, I was not familiar and thinking about how to turn it on correctly just added to my saturation. After a debrief and some lunch, Michael had me get back in the sim and try again. This time I did have some additional curve balls thrown at me (a failed primary flight display (PFD) and hard-to-hear radio communications), but, I did feel more confident. I declared my emergency earlier and was more direct communicating with the controller about my situation and what help I needed. This time I was able to land and the engine had enough fuel that it didn’t shut down on the runway. I still wish I was more comfortable with the avionics, but now I know I can go home to Austin and focus on becoming more familiar with it in the sim with an instructor there. All in all, I had a great visit in Camarillo that came with a piece of humble pie. It allowed me to evaluate my currency/proficiency routine and think about ways to keep the rust off and skills sharper. Michael described a good approach as “proficiency in pieces,” which makes a lot of sense. I am looking forward to EAA AirVenture, where we’ll be talking heavily about pilot proficiency and allow attendees to get in simulators and face some of the challenges that I just went through and then encourage them to keep the learning constant and proficiency constant when they also return back to their home airport. Learning to fly, adding additional ratings, maintaining and elevating skills and preparing ourselves for unforeseen emergencies requires a significant commitment of time, energy and money. Redbird Flight Simulations has developed a line of simulators that allowed us to make an investment in an Redbird SD that when combined with the best training materials and highly experienced personalized attention met all of our goals for offering the best possible training environment that is both affordable and loaded with value. 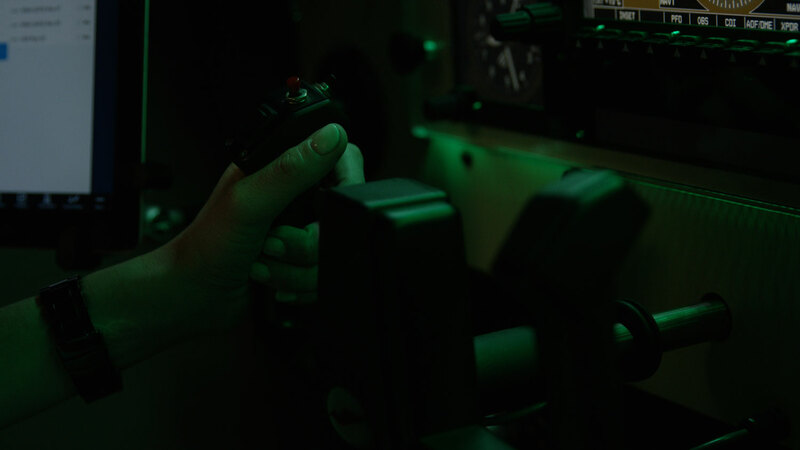 Whether you are flying a legacy panel or the latest in glass cockpits we invite you to visit our Simulator Training Center and let us show you why flight simulation should be a part of your regular flying routine. Instructors have been using simulators to augment instrument flight training for decades, but few use the sim for more that a basic procedures trainer when it comes to teaching VFR students and techniques. Here are eight VFR scenarios Phillips routinely uses to improve preparedness and sharpen skills of student pilots and high-time fliers alike. 1) Get them trapped above a cloud layer on a VFR flight. Phillips does this with every pre-solo student. They must call (simulated) ATC, declare an emergency, and get talked down through the clouds to VFR below. Not only is it a sphincter-tightening experience to say the “e-word” in anything resembling an airplane, it might be lifesaving some day. For the instrument-rated pilot, make it a pop-up clearance to a low-IFR approach. 2) Temperature set to 35º C and positioned on a runway at a high altitude airport. Flatland pilots rarely appreciate the complexities and planning required to fly at high density altitude. The beauty of doing this in a sim is they can fail repeatedly, yet get a bit further each time. 3) Pop up thunderstorms en route to a coastal destination. This tests multiple skills at once and works best if simulated ATC is incorporated to discuss diversions. It also helps if real thunderstorms are in the area and the pilot can use in flight weather off an iPad. 4) Alternator failure at night. Start with a choice of a closer airport with poorer light and services and a further airport with better lighting and service—but potentially out of battery range without serious load shedding. 5) Catastrophic failure of all instruments except the compass. In today’s GPS-dependent world, old fashion navigation is practically a lost art. Toss in a setting sun to up the ante. 6) Low oil pressure over a congested metropolitan area. Decision making at its finest. You control when (or if) the engine completely fails to test the learning outcome this particular pilot needs most. 7) Engine failure after takeoff. This is a great chance to combine procedural practice (pre-takeoff briefing) with immediate application. Failing the engine at different altitudes necessitates different responses. You can also let a pilot try the “impossible turn” back to the departure runway and see what happens. Once they have the basics, experimenting with how strong winds, obstacles, or crossing runways can change the pre-takeoff plan makes this a valuable life lesson. 8) Pitot-static failure during a climb. We’re surprisingly dependent on this simple, vulnerable, system. 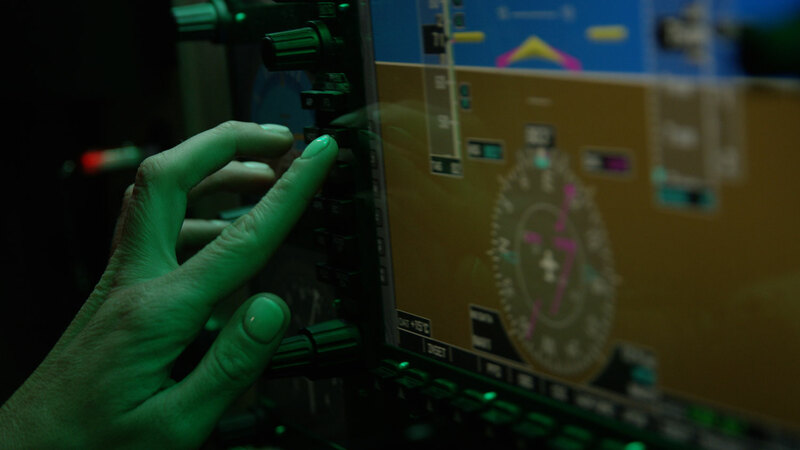 You can increase the difficulty by turning on the nighttime so visual confirmation of altitude vanishes, or seeing how strong winds effect substituting GPS groundspeed for the missing airspeed. PilotEdge is professional air traffic control for flight simulators. 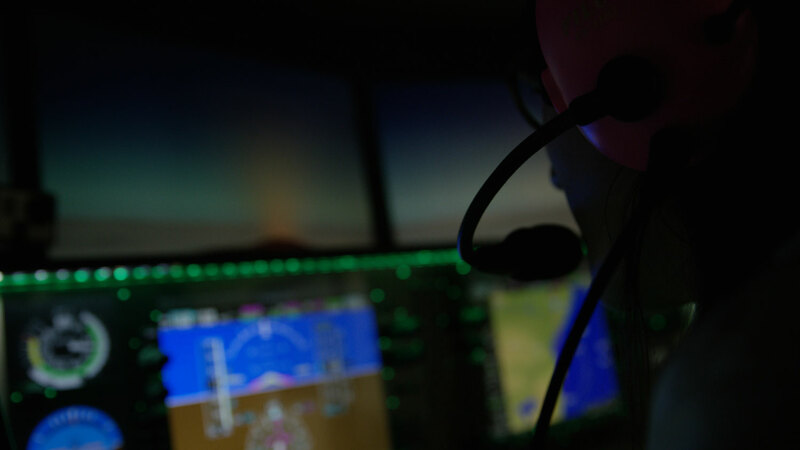 It allows you to work with live air traffic controllers and engage your "flying brain" in a simulator. 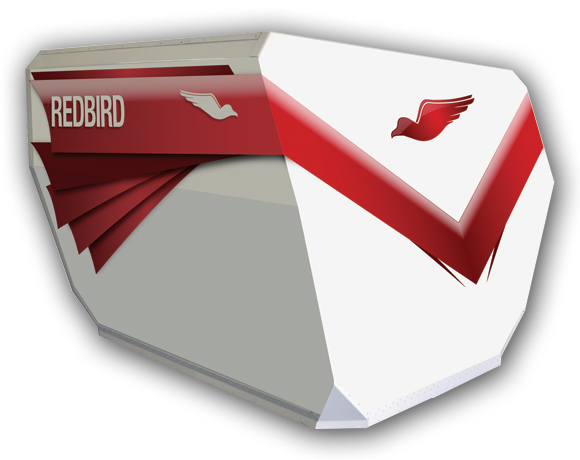 Redbird Cygnus allows you to use any aviation or navigation apps running on your Apple iOS device while connected to a wide range of flight simulation.